Fear is leading many immigrant families to cut their ties with health care and other critical government programs. Researchers in Texas say that's one reason why there are more children going without health insurance. Ashley Lopez of member station KUT has the story of one family that is avoiding care even though a little girl needs treatment. ASHLEY LOPEZ, BYLINE: Ana lives in central Texas with her husband and two kids. Danny is a playful, healthy toddler. Sara is 9 years old and was diagnosed with autism a few years ago. Ana says at first it was unclear what was wrong with Sara exactly. When she acted out, it was really hard to calm her down. LOPEZ: "To other people, Sara just seemed spoiled or a brat," Ana says. After the diagnosis, though, Ana felt a little lost about what to do next. She went to a nonprofit in Austin that helps parents whose children have disabilities. It's called Vela, which means candle in Spanish. There, Ana learned about all these different therapies Sara could get through Medicaid, therapies that would help her communicate better, among other things. But that was right around the time of Trump's election, and immigrants like Ana were nervous. LOPEZ: "I'm looking for groups who are not associated with the government," she says. Ana entered the country without documentation about 10 years ago, so that's why we aren't using her last name. Both her kids were born in the U.S. and automatically got Medicaid coverage. But ever since President Trump took office, Ana has only been using it for the kids' checkups and vaccinations. LOPEZ: "I'm afraid they will not give me a legal resident status," she says. Ana's husband has a green card, and she's in the process of getting one, too, but the rules could be changing. The Trump administration wants to make it harder for people to get a green card if they use government services or even if they might use them in the future. And so Ana and her husband have decided, just to be safe, not to seek out any more help from the government, even if her daughter, who is a citizen, needs more therapy than she's getting right now. LOPEZ: "I feel bad doing that," Ana says. For Ana, treating her daughter's autism would be great, but there's nothing more important than keeping the family together. Nadine Reub (ph) works with Ana at Vela. She says she's seeing this a lot. NADINE REUB: I'm running into families that when it's time for re-enrollment or re-application, they're pausing, and they're questioning if they should. LOPEZ: Reub says immigrants are foregoing government services for lots of reasons. 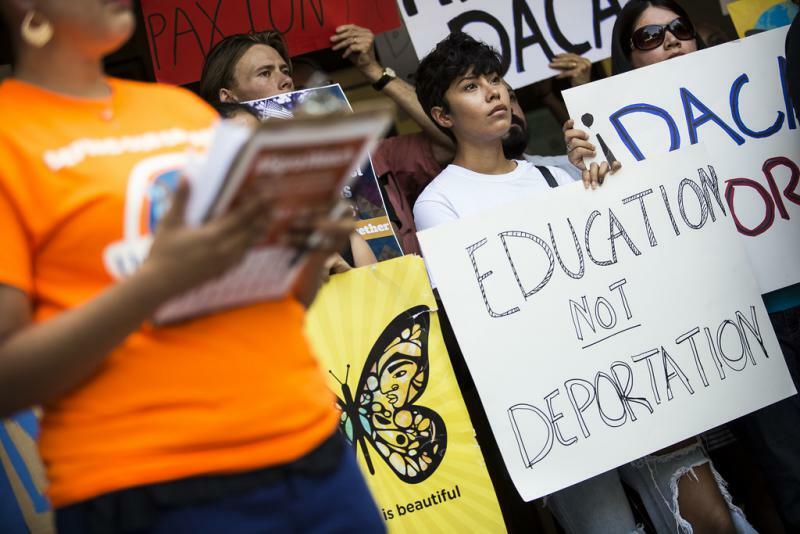 Some are trying to stay under the radar to avoid immediate deportation. Others are more like Ana. They just want to be in the best position possible to finally get legal status and move on with their lives. And in Texas, a quarter of children have a parent who is like that, undocumented or trying to become a legal resident. Cheasty Anderson works with the Children's Defense Fund in Texas. She thinks the parents' fears have led to more kids going without health coverage in Texas. CHEASTY ANDERSON: The climate of fear is so pervasive at this point, and there is so much misinformation out there. LOPEZ: A recent study from Georgetown found that 1 out of every 5 uninsured kids in the U.S. lives in Texas, and a big percentage of them are Latino. Anderson says this is all happening despite the state's vibrant economy. ANDERSON: Texas is proud to be Texas in so many ways, but this is one way in which we are failing ourselves. 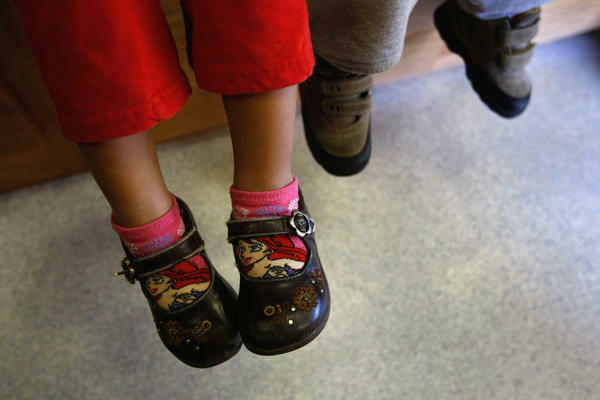 LOPEZ: Anderson says the failures fall hardest on kids with disabilities. That also worries Nadine Reub, the advocate who is working with Ana. She says when it comes to treating childhood disabilities, earlier is better. REUB: The sooner you catch it, the sooner you support the child, the sooner you support the family. I think it's just a win-win for everybody, right? You're supporting the emotions of the family and then that supports the child. LOPEZ: But Ana is still uncomfortable asking Medicaid to do more for Sara. For now, she's relying on services from her daughter's school, and she'll keep doing that until she gets that green card. For NPR News, I'm Ashley Lopez in Austin. SIMON: And that story is part of a reporting partnership between NPR, KUT and Kaiser Health News. Transcript provided by NPR, Copyright NPR. President Donald Trump's Hail Mary offer to trade protections for recipients of the Deferred Action on Childhood Arrivals program for border-wall funding could be dead on arrival as Congress heads back to work this week.